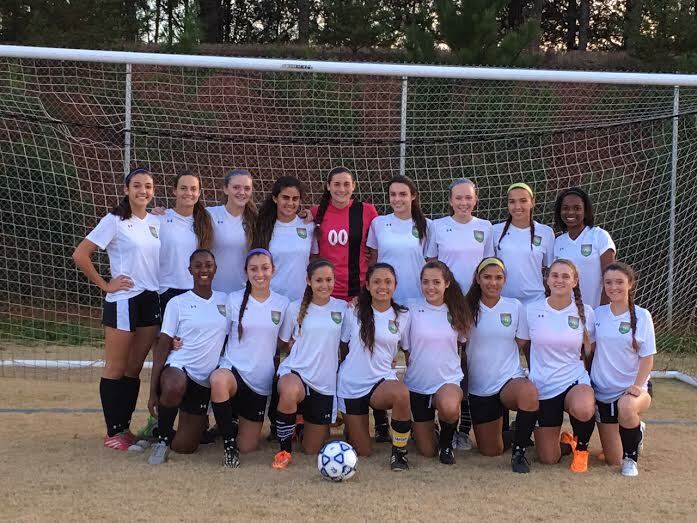 Sunrise SC 99/00 Black opened the CASL Showcase with a 3-0 win over East Meadow ECNL. Sunrise struck early in the 13th minute with a goal from Allison Breed. The led was quickly doubled when Chloe O'neill scored off a cross in the 20th minute. In the second half Sierra Rincon increased the lead in the 75th minute. In game 2 of the CASL Showcase Sunrise faced Charlotte SA ECNL from North Carolina. Charlotte opened the scoring in the first half with a goal in the 29th minute. The score went unchanged until a late equlaizing goal from Allison Breed in the 77th minute. The game finished with a 1-1 tie. In the 3rd and final game Sunrise SC squared off with FC Stars NPL from Massachusettes. Being tied with Charlotte with 4 points, Sunrise SC needed a convincing win to top the group. Sunrise jumped out to a quick 2-0 lead in the first 18 minutes of the game. Sunrise opened the second half with a quick Chloe O'neill goal in the 42nd minute. FC Stars got on the board with a goal 8 minutes later. Sunrise responded with 3 more unanswered goals to close the game with a 6-1 victory.